Trauma impacts so much of society that the statistics are astounding. Yet, numbers mean absolutely nothing when you’re the one dealing with trauma. Feeling weighed down and unable to “keep doing this,” you may begin to wonder if you’ll ever return to normal. The exhaustion—mental and physical—can be so overwhelming that you may even feel like you’ve run a marathon. Yet, nothing has even been crossed off your to-do list. Take heart. 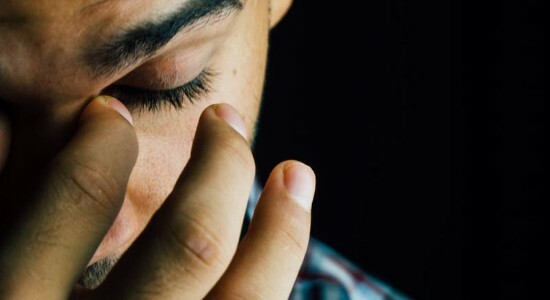 The fatigue you’re feeling is indeed connected to traumatic events in your life. Here are a few common ways trauma can make you feel fatigued. 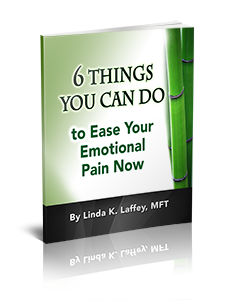 Plus, consider some methods to help you reclaim your energy. When you experience a traumatic event, a ripple effect happens. The shock of the trauma reverberates throughout your entire being like an echo in a cave. This results in upset to your whole life. Perhaps impacting your eating habits, social behavior and sleeping patterns; the disruptive ripples are unique to your situation. Unsurprisingly, most people experience sleeping issues after a traumatic event. Some common issues include insomnia, night terrors or nightmares, and sleep apnea, to name a few. Unable to properly rest, your body and mind slowly wear down, leaving you feeling chronically fatigued. To regulate your circadian rhythm, establish a bedtime routine and maintain it each night. Also, try meditation and deep breathing exercises. Be sure to stay clear of alcohol as a sleeping aid. Alcohol has been proven to be a sleep interrupter. Instead, depend on a good diet and exercise to support sound rest. The human body has an innate response to a perceived threat. It senses “danger” and activates a part of the autonomic nervous system to “fight off” the threat. However, your nervous system can’t tell the difference between a vicious lion and a cranky cashier. For this reason, many situations can cause trauma in your life. Think about how many situations compound to create certain emotional complexities. As you may have guessed, you can get “stuck” in the fight-or-flight (or freeze) response, causing your body and mind to function in overdrive. This is incredibly exhausting, to say the least. For some, this means feeling jumpy or easily startled. For others, it manifests in hypervigilance or seeing the world through gray-colored glasses. Essentially, your thoughts sway toward the negative. You may even become unlike yourself, transforming into someone filled with anger, trepidation, or cynicism. Often, to bypass these negative thoughts, getting to the root trauma is the most efficient way of dealing with your nervous system. Eye Movement Desensitization and Reprocessing (EMDR) is a methodology able to target the core cause of trauma with accuracy and speed. Anxiety from trauma can take on a life of its own. Unable to relax or concentrate, you may lash out at others more. Furthermore, it’s likely you’ll act out-of-character in some situations and with certain people. Not only can the stress of this behavior weigh heavily on your mind, but it causes fatigue as well. Many people isolate themselves, which doesn’t support the recovery process at all. In fact, it can slow things down and even make them worse. In short, cognitive symptoms caused by trauma can feel like you’re dragging around 1,000 bricks. You may struggle to complete domestic responsibilities, fall behind in your career, or forget important appointments simply because your overall being is drowning in the trauma. To battle anxiety from trauma, it’s vital to address the trauma as well as any conditions it may have caused. EMDR can help. This therapeutic method is well-known for releasing blockages that encourage anxious feelings. If you struggle with fatigue stemming from trauma, and you’re ready to take the next step in resolving those issues, I would like to help. Please contact me via phone or email so we can discuss how we might work together to achieve your therapeutic goals as quickly and effectively as possible.